Imagine an autobiography of a person who lived 500 years ago. A love story with a violent end. A narrative that stopped abruptly. A tale left resolved. Then imagine, completing that story today. Bringing a logical climax to what began centuries ago. 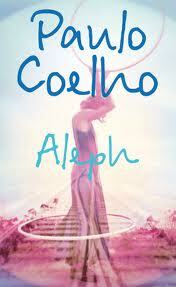 When the story is Paulo Coelho's own journey, the book that he writes becomes "Aleph". It is difficult to review autobiographies in general. When such books hold reader interest, it is usually because the author has lived an interesting life. No amount of salvaging by clever writing can cover a boring story. In Paulo Coelho's case, he is a man who has earned his fame by writing a particular genre of books that have been phenomenally successful all over the world, through translations. The strong spiritual bent of his words come from his own experiences in this lifetime. But here he goes into new territory. He tells the story of his journey to resolve something from a past life. He embarks on a travel across Russia by train, 9288 kilometers on the Trans-Siberian railroad. He is compelled to travel in order to renew himself and progress on his spiritual path. He encounters the fascinating Yao, a seventy year old man of Chinese origin but with exposure to Brazil and Japan, all of which makes him a perfect companion and translator for Paulo. But it is Hilal, the young Russian girl of Turkish descent who is the long-lost love from 500 years ago that Paulo must not only bear but also learn from, the one that will give him an opportunity to redeem himself. The story is long and complex but written in Paulo Coelho's easy style. Even the esoteric concept of the "Aleph" - the point in the Universe that contains all other points, present and past, large and small, is explained in simple terms though one can only imagine the experience of being in the Aleph that brings the faraway past into current consciousness. There are exquisite insights offered by various people including Yao, the shaman and Hilal. I kept going back to passages that held me under the sway of not just the words but of the essence captured in them. The Aleph is a heavy book to read. But for it to work on you, you need to be in the right frame of mind, just as Paulo Coelho needed to be in order to experience the Aleph. Love the review. What a way to describe the book! 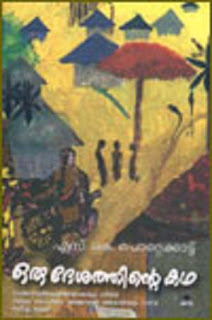 'Oru Deshathinte Katha' which literally means 'The story of a country' is a Malayalam novel written by SK Pottekkatt.Pottekkatt, whose travelogues are considered to be masterpieces in Malayalam literature finally wrote this autobiographical magnum opus in 1971. It became an instant bestseller and fetched him the most acclaimed Jnanapith award and Sahitya Academy award. 100 Reasons Why Reading is Important! శోభన్ బాబు గారు మన అందరికి ఒక సినిమా నాయకుడు గానే తెలుసు. కాని అతను ఒక మహోన్నత వ్యక్తిత్వం గల మనిషి. నియమ నిబన్దలతొ జీవితాన్ని గడిపిన వ్యక్తి. ఎ పనిఅయిన ఎక్కడ మొదలు పెట్టాలో విజయం సాధించడానికి ఏమి చెయ్యాలో మన అందరికి తెలుసు. కాని ఎక్కడ ఆపితే ఆ విజయాన్ని ఆస్వాదించగలమో ఎంత మందికి తెలుసు . నిజానికి అది తెలియడమే విజయ రహస్యము . అది తెలిసిన వ్యక్తి శోభన్ బాబు గారు. ఎలా ఉండాలి నడుకి సెట్ లో ఉన్న పరిమితులేమిటి ఒక నటుడు తోటి నటులతో ఎలా మెలగాలి, నిర్మాతను ఎలా మర్యాద ఇవ్వాలి దర్శకుల నుంచి లైట్ బాయ్ వరకు ఎలా పలకరించాలి అని తెలిసిన వ్యక్తీ శోభన్ బాబు గారు.